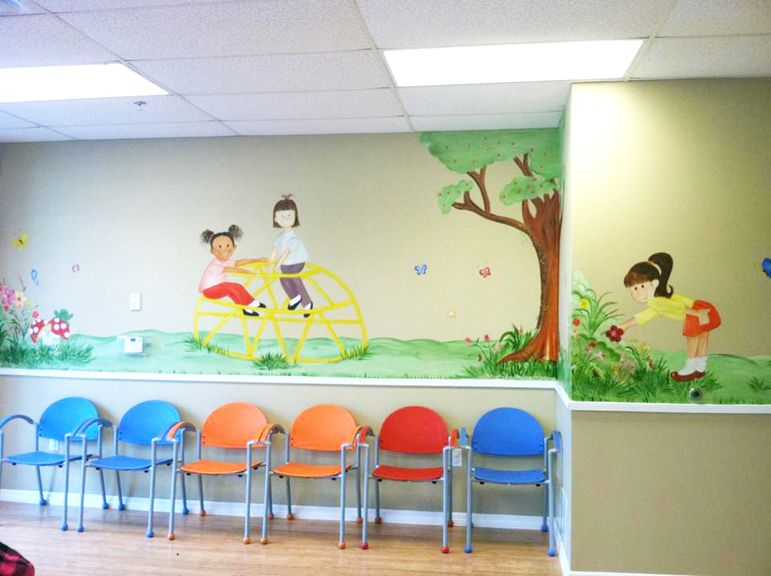 I love the look of this beautiful pediatric office. 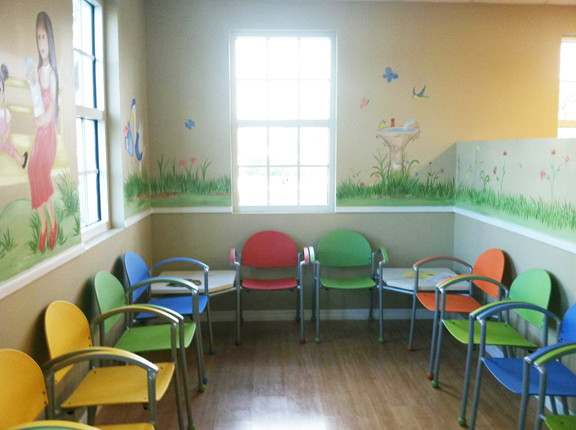 The bright colors of the chairs and wall harmonize perfectly with the brown walls. 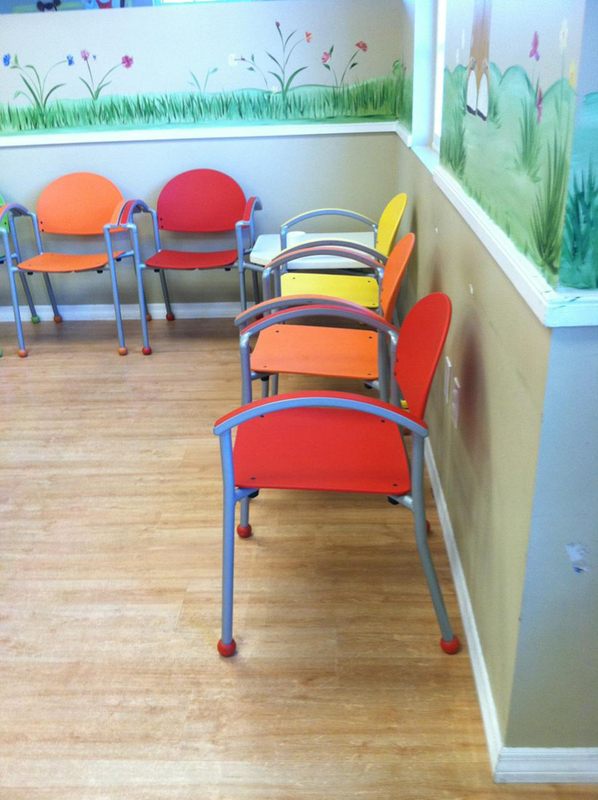 These Bola chairs have the wallsaver feature so you can see a close up from the side. 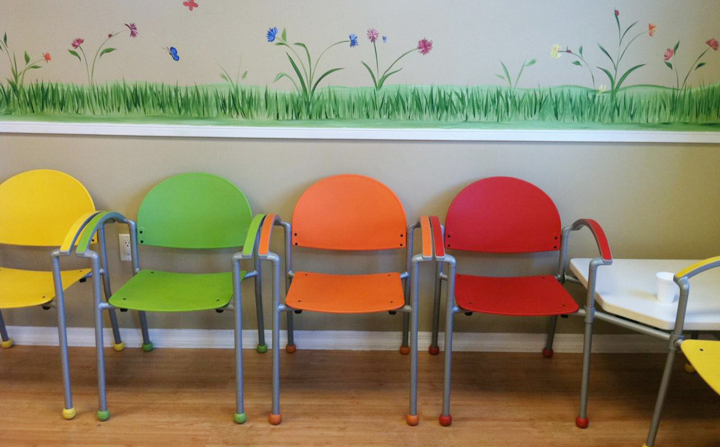 The back of the chair does not touch the wall.